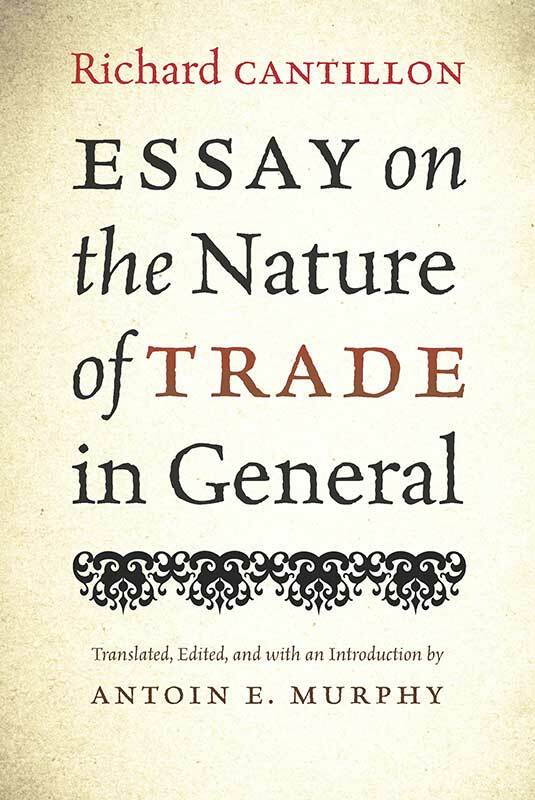 The Liberty Fund edition is a modernized translation of Richard Cantillon’s Essai sur la nature du commerce en général (1755) with a new introduction by Antoin E. Murphy. In the Essay, Cantillon outlined an extraordinary model-building approach showing how the economy could be built up, through progressive stages, from a command, barter, closed economy to a market economy, which uses money and is open. Though written in the eighteenth century, the Essay has a considerable resonance for a twenty-first century audience. Antoin E. Murphy is Emeritus Professor of Economics and Fellow of Trinity College Dublin.